Do you work as a freelancer? 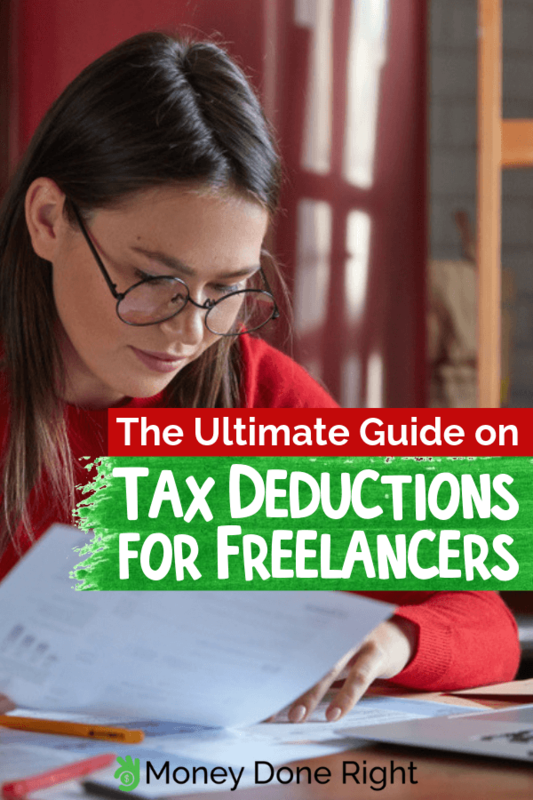 Then you’re probably preparing to file your taxes, so the following tax deduction tips and information on tax deductions for freelancers will serve you well. According to the latest Freelancing in America 2018 report issued by Freelancers Union, more than 56.7 million Americans chose freelancing as a method of earning a living in 2018. Among the main benefits, most freelancers treasure the flexible schedule, the increasing growth opportunities, and the improved work-personal life balance. Probably the only thing all freelancers dread is filing their taxes. The freedom and benefits you gain by working on your own tends to get costly. The Internal Revenue Service sees freelancers as self-employed and asks them to pay their taxes as such. The amounts can get pretty high, unless you are versed in tax deductions for freelancers. Even if an accountant handles your taxes, it helps to know what type of expenses you can deduct. After all, you are the one planning and tracking expenses and paying taxes. If you want to simplify your expense tracking, accounting, taxes and deductions, and financial reporting, we recommend Hurdlr. Hurdlr has a free version you can download to get an idea of what it has to offer. For more details about how it works, check out our Hurdlr review. Click here to download the Hurdlr app and change the way you manage your accounting and taxes for the better! Returning to your tax filing duties and the deductions you are entitled to as a freelancer, the best starting point for our tax money-saving guide would be Schedule C, or Form 1040 – Profit and Loss. It is the form most freelancers and small businesses have to fill in, and it covers the available tax deductions for freelancers. We will review the relevant deductions categories and teach you how to save tax money in the following lines. Be warned that the advice and tax deduction tips below can save you huge amounts of money. In our opinion, there is nothing more fun than saving money. If you have doubts, try Long Game! Sign up for Long Game though this link and use the Promo Code 28ZEPK to earn a 1,000 coins bonus! If you spend money to advertise your services as a freelancer, you can deduct those expenses from your taxes. The advertising tax deductions for freelancers can cover anything from Facebook and local media ads, local events sponsorships, and advertorials on relevant third-party websites, to business cards, give-away items and brochures. Just make sure you have the means to prove that you incurred to respective costs to advertise your services as a freelancer. The next time you order advertising materials, like personalized prints and planners, consider using money-saving apps like Ebates. Read our latest review of Ebates and learn more about how this amazing app can help you save money! Calculate your transportation expenses by multiplying the number of miles driven throughout the year by $0.575, and add tolls and parking fees. Fill in form 4562. Its section B lets you itemize expenses with gas, repairs, depreciation, and car insurance. When it comes to car insurance, MetroMile is an excellent option for those who drive rarely and on short distances. Those who rely on their cars to get by both in everyday life and in work-related situations can use Insurify to identify the best car insurance deals. Anyone can save money on gas using Get Upside. Click here to download Get Upside and earn back up to 35% of your gas expenses! As a freelancer, you occasionally need help from other professionals. Think accounting, legal counseling, graphic design, blogging, and more, depending on the specific of your business. The best examples for this deductions category are Logan Allec’s CPA services for bloggers and other creatives. I help freelancers with their bookkeeping and tax filing, and my clients deduct the costs of services from their due taxes. Read more about Logan’s CPA services for freelancers here! If you use expensive equipment in your activity, like a high-performing laptop, a high-end camera, or lighting gear, you may be able to depreciate your equipment over a certain period. It can range from one to five or even ten years, depending on the equipment in question and what you use it for. The bottom line is that you’ll be able to upgrade your equipment regularly and deduct its cost from your due taxes. Use Butterfly Saves eCodes to save up to 50% on your purchase! Click here to sign up for Butterfly Saves and start looking for the coupons you need! This solution only works if you have people working for you and the possibility to prove your employer/employee relationship. If you decide to offer them benefits like health insurance, you can deduct the costs from your taxes. Besides employee benefits, you can deduct any retirement or profit sharing plan if you have employees but that is quite rare among freelancers. Depending on your line of work, if you need/decide to get insurance for liability, malpractice, workers’ compensation, or your home office, you should be happy to know these costs are deductible as well. You cannot deduct your own health insurance, though. To boost your health, consider apps like HealthyWage, which reward you for meeting health and wellness goals. Click here to sign up for HealthyWage and start making money by watching out for your health! If you needed to take a loan in order start your business, pay for your education (it should be related to your activity) or fund a business/related project, the interest you pay on it is deductible as well. You can even deduct the interest you pay on your credit card debt or on your mortgage, for the part of the property that you’ve turned into a home office. Since the interest you pay on your loans depends on your credit score, it pays to monitor your credit history. We recommend Credit Sesame. Follow this link to start your FREE Credit Sesame account and receive free credit score reports! Expenses with printers, paper, books, writing and professional instruments, software, and everything else required for your office activities are all deductible. For example, software like photoshop and image costs are common tax deductions for freelance graphic designers. Canvas, paints, makeup products, and costumes are common freelance artist tax deductions. We’ve already mentioned that you can deduct equipment costs above, but you should know that leasing expenses qualify for deductions as well. Therefore, if you leased your car or some professional equipment, remember to deduct the leasing from your taxes. If you pay rent for an office, or you have a website, you can deduct your expenses with them as well. Since such costs can be pretty steep, it helps to look into saving solutions. Check out our post on How to Get Help Paying Rate and Rent Assistance in 2019! As for your website, once you have it up and running, most of your related expenses will go towards blogging and webhosting. For blogging, we recommend taking matters into your own hands, and our Blogging Done Right post on How to Start a Blog can help you. When it comes to hosting, we recommend Bluehost. Set up your website with Bluehost following this link to benefit from a special discount! Depending on the specifics of your activity, your equipment may require periodical maintenance or repairs. Don’t hesitate to deduct the corresponding expenses from your taxes! You can include related supplies as well. For example, if you are a photographer, the paper you print your photos on and the cartridges and toners for the printer can be deducted as well, if you haven’t already included them as office supplies. If you sell journals or you specialize in bookbinding, the paper, plastic, or leather you use are deductible as well. As a freelancer, you may have to travel to events and conferences related to your profession. If you do your travel and accommodation expenses are deductible. Just make sure not to deduct transportation costs twice, and have justifying documents, just in case the IRS suspects your trips were for pleasure and not for business. To get the best deals on your trips and accommodations, we recommend creating an Airbnb account and using it to plan and book your trips. You can also become an Airbnb host and make money by providing accommodation to others, either in your own home or on another property you own. Click here to create your Airbnb account and start earning money by hosting guests! If your activity does not justify restaurant meals and you want to avoid paying for those out-of-pocket, consider using Swagbucks to earn gift cards to your favorite restaurants. Click here to create your Swagbucks account, earn a $5 signup bonus, and start earning restaurant meals. Your office, whether set up at home or elsewhere, consumes utilities like electricity, water, gas, phone, and more. If you have a home office, and you have not made arrangement for separate metering, you can deduct a percentage of the bills equal to the percentage corresponding to your office from the overall property. You will not be able to deduct your phone bill if you do not have a separate line for your office, but you can still deduct long distance calls. Until you figure out how to deduct your utilities costs, consider turning to Billhunters to negotiate lower rates. Click here to become a Billhunters client and have their knowledgeable team negotiate lower utility rates on your behalf! Obviously, you can only deduct such expenses if you have employees. This category is wider and can include any fees and commissions you pay in order to be able to perform your activity as a freelancer. For example, if you get paid through PayPal, you can deduct your PayPal fees. If you’ve turned to affiliate marketing to promote your services, you can deduct the costs of running your affiliate marketing program. This category basically includes all the expenses you cannot fit elsewhere on your tax form. If you’ve set up your office at home, all your expenses with it can fit into this category. Keep in mind that we’ve covered some of them before, and the IRS will not allow you to deduct the same expenses twice. In order for your home office expenses to qualify for deductions, you may need to prove that the respective space meets at least one of the following requirements. By surface – You determine the size of your office and calculate its percentage from your home or apartment. For example, if your office measures 200 square feet and your home measures 2,000 feet, you can deduct 10% of your indirect household expenses. By rooms – If your office occupies only one room, you can divide the overall household expenses to the number or rooms in your home to calculate the expenses you can deduct. For example, if your office occupies one room out of five, you can deduct 20% out of your indirect household expenses. $5 / square foot – The IRS has adopted a new rule according to which you can deduct $5 / square foot every year. Thus, if your office measures 100 square feet, you can deduct $500 for it. In the end, it is up to you to do your math and identify the option that works for you. Should you encounter any difficulties, remember that you can always turn to me for help. If you need help calculating and filing your taxes, send an email to logan@moneydoneright.com and inquire about our CPA services! If I cover your area of expertise, you’ll benefit from a 30 minutes free consultation! Now you know what type of expenses you can deduct to avoid paying more than you need to on taxes. You probably have your worries about including all these deductions in your tax form, and we’d like to chase some of those worries away. These deductions are a way to stimulate investments that could improve the economy. The government basically encourages you to spend money in order to conduct your activity in better conditions, expand, bring employees onboard, or improve your service offer. Of course, in order to deduct your expenses, you need to keep track of them. If you fail to track and claim deductions, you lose money. Because some freelancers and business owners have tried to deduct expenses they did not really incur, the IRS reserves the right to verify some expenses through audits. However, this should not prevent you from claiming your deductions. The IRS is not after small businesses and freelancers. In order to draw their attention, you would have to report expenses higher than your earnings and claim really big returns. Moreover, if you document and track your expenses, you have nothing to worry about. Keep your documents in order, and the IRS will see you did nothing wrong. And don’t neglect to deduct small expenses. They tend to add up and save you a small fortune in the long run. Would you like to save even more money and have even more fun? Check out our Ridiculously Simple 14-Day Money Saving Challenge for 2019! What type of expenses do you usually deduct? Do you know of any tax deductions for freelancers we haven’t covered? Don’t hesitate to share your thoughts and experience in a comment below!